Approved Document B is a document approved and issued by the Secretary of State, with the purpose of providing practical guidance with respect to the requirements of the Building Regulations covering fire safety matters within and around buildings. The document outlines particular requirements and examples of solutions for some of the more common building situations. There may well be alternate ways to achieve compliance to regulations, thus there is no obligation to follow solutions contained in the document, but adoption of the guidance is the simplest way to comply. The latest version of the document was published in January 2013 and has been effective from the 1st April 2013, superseding the previous 2006 edition which incorporated 2010 amendments. Volume 1 of Approved Document B (Fire Safety) deals solely with dwelling/houses. Where very large (over 18m in height) or unusual dwelling/houses are proposed some of the guidance in Volume 2 may be needed to supplement that given by Volume 1. It provides guidance for compliance with the requirements of B1 to B5 of Schedule 1 of the Building Regulations. Volume 2 of Approved Document B (Fire Safety) deals with all other types of building covered by the Building Regulations, apart from dwellings/houses. It provides guidance for compliance with the requirements of B1 to B5 of Schedule 1 of the Building Regulations. Approved Document B provides guidance on various elements of the built environment with regards to the fire safety of a building. The document focuses on means of warning and escape, internal fire spread, external fire spread and access for Fire and Rescue services but also covers detail with respects to doors within the building. 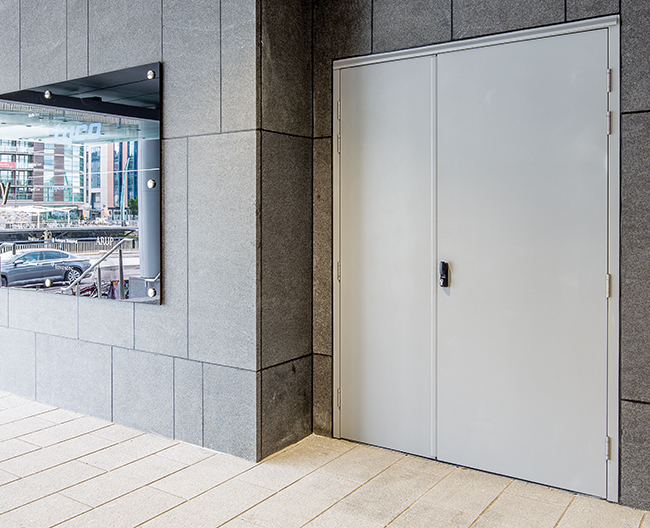 When specifying doors and the associated hardware, it is important to consider the requirements of the Approved Document B and how they apply to the door. Outlined below are the main areas detailed within the document which affect the door. The time taken to negotiate a closed door can be critical in escaping. Doors on escape routes (both within and from the building) should therefore be readily openable, if undue delay is to be avoided. Accordingly the provisions below should be met. 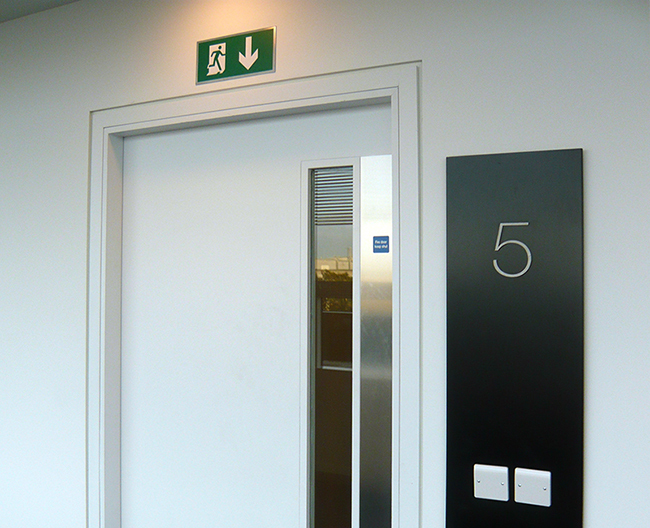 All doors that need to be fire-resisting to meet the provisions in Approved Document B should have the appropriate performance given in Table B1 of Appendix B. The door of any doorway or exit should, if reasonably practicable, be hung to open in the direction of escape and should always do so if the number of persons that might be expected to use the door at the time of a fire is more than 60. All doors on escape routes should be hung to open not less than 90 degrees with a swing that is clear of any change of floor level, other than a threshold or single step on the line of the doorway and which does not reduce the effective width of any escape route across a landing. A door that opens towards a corridor or a stairway should be sufficiently recessed to prevent its swing from encroaching on the effective width of the stairway or corridor. Vision panels are needed where doors on escape routes sub-divide corridors, or where any doors are hung to swing both ways. Note also the provision in Approved Document M Access to and Use of buildings, concerning vision panels in doors across accessible corridors. Where glazed elements in fire-resisting enclosures and doors are only able to satisfy the relevant performance in terms of integrity, the use of glass is limited and must meet the provisions set out in Appendix A, Table A4. Where the relevant performance can be met in terms of both integrity and insulation, there is no restriction in Approved Document B on the use or amount of glass. 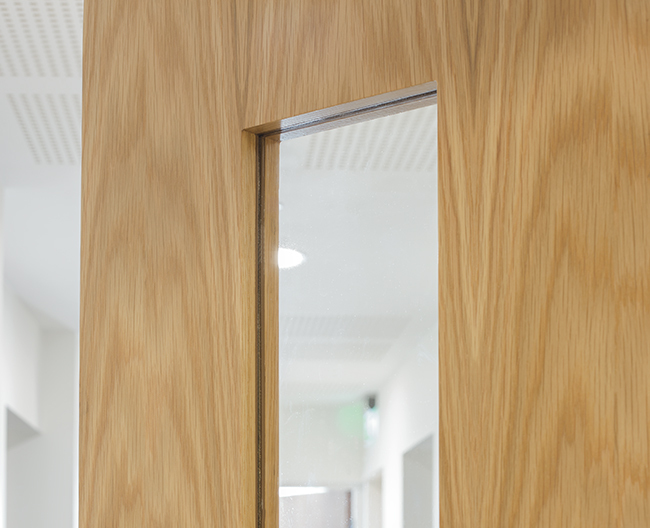 All fire doors should be fitted with a self- closing device except for fire doors to cupboards and to service ducts which are normally kept locked shut and fire doors within flats (self- closing devices are still necessary on flat entrance doors). b) an automatic release mechanism actuated by an automatic fire detection and alarm system. c) a door closer delay device. a) to be kept closed when not in use (Fire door keep shut). b) to be kept locked when not in use (Fire door keep locked shut). 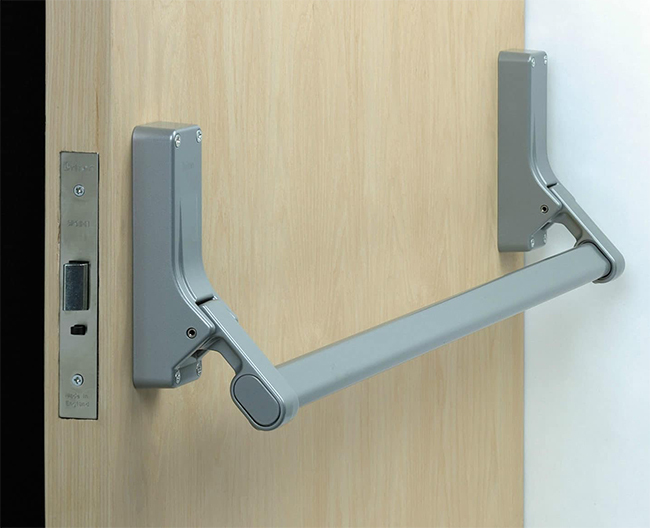 c) held open by an automatic release mechanism or free swing device (Automatic fire door keep clear). 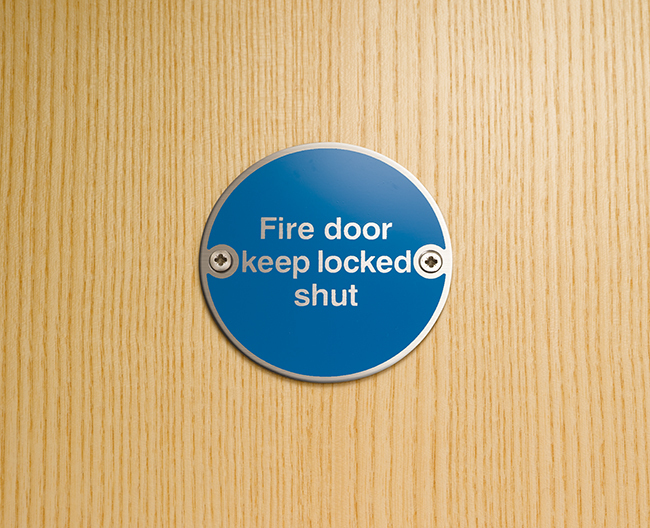 Fire doors to cupboards and to service ducts should be marked on the outside; all other fire doors on both sides. 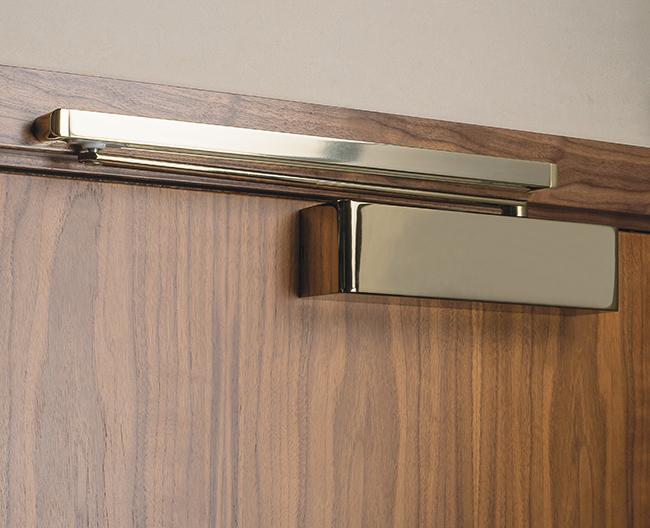 Doors to and within flats, bedroom doors in ‘Other-residential’ premises and lift entrance/landing doors are the only fire doors that are not required to comply with the above. NEED ADVICE ON APPROVED DOCUMENT B? Our technical experts will be able to advise on how you can meet the requirements of Approved Document B. In general, doors on escape routes (whether or not the doors are fire doors), should either not be fitted with lock, latch or bolt fastenings, or they should only be fitted with simple fastenings that can be readily operated from the side approached by people making an escape. The operation of these fastenings should be readily apparent; without the use of a key and without having to manipulate more than one mechanism. Where a door on an escape route has to be secured against entry when the building or part of the building is occupied, it should only be fitted with a lock or fastening which is readily operated, without a key, from the side approached by people making their escape. Similarly, where a secure door is operated by a code, combination, swipe or proximity card, biometric data or similar means, it should also be capable of being overridden from the side approached by people making their escape. a) on operation of the fire alarm system. b) on loss of power or system error. 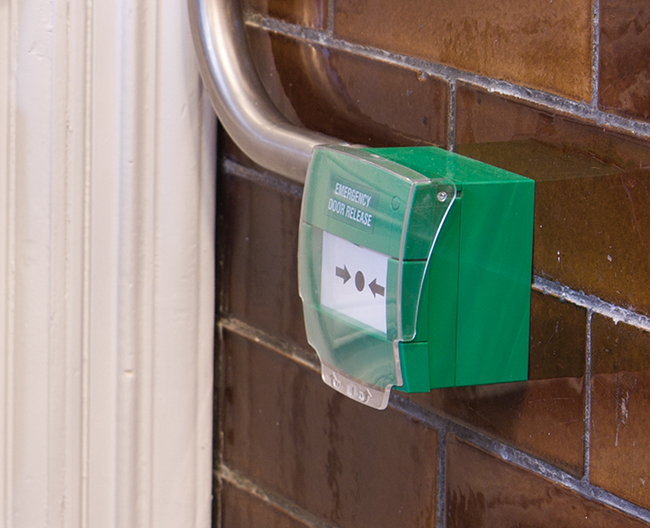 c) on activation of a manual door release unit (Type A) to BS EN 54-11:2001 positioned at the door on the side approached by people making their escape. Where the door provides escape in either direction, a unit should be installed on both sides of the door. 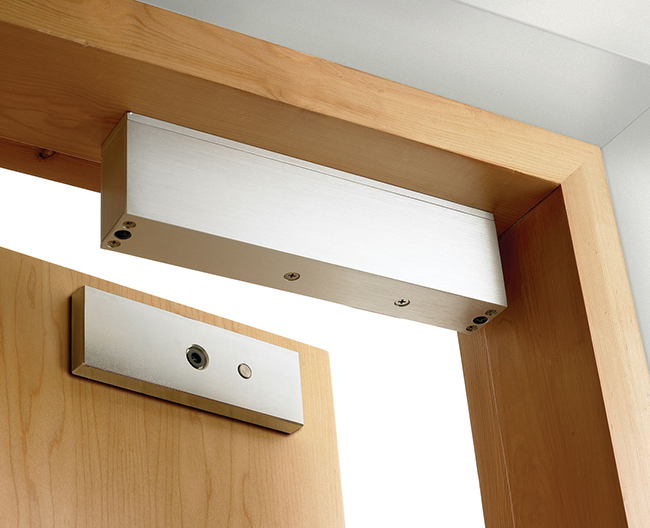 In the case of places of assembly, shop and commercial buildings, doors on escape routes from rooms with an occupant capacity of more than 60 should either not be fitted with lock, latch or bolt fastenings, or be fitted with panic fastenings in accordance with BS EN 1125:1997.